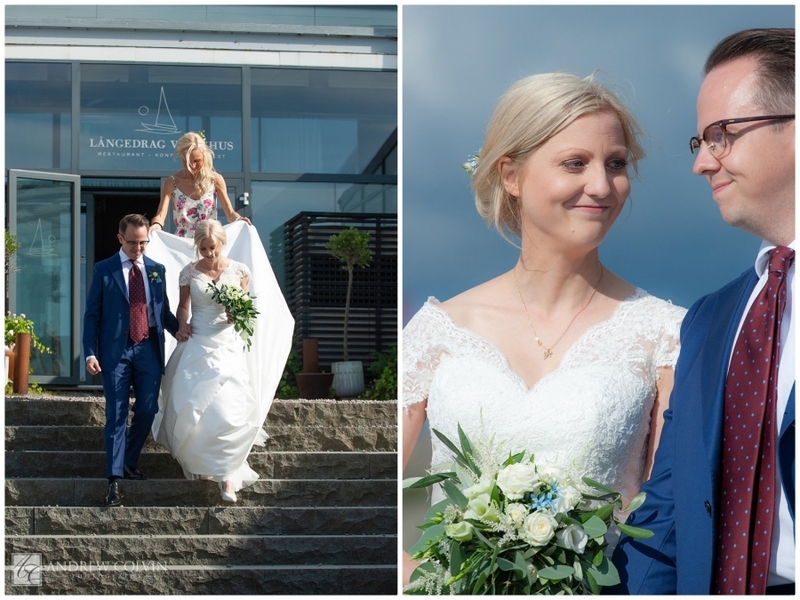 Jonas and Linda were married by the docks of Långedrags Värdhuset in Göteborg on 1st September. 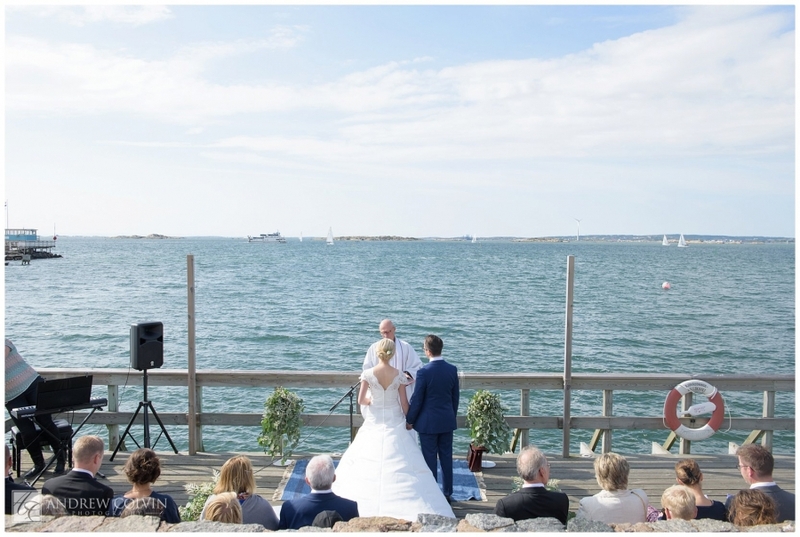 The setting, right on the edge of the sea couldn’t have had a more spectacular view, both for the vigsel on the dock, and the party at the restaurant facing right out over the setting sun. 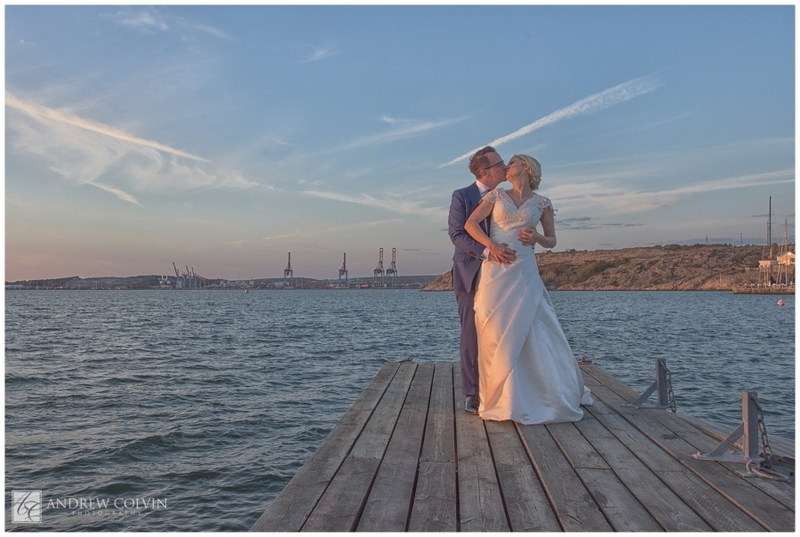 Jonas and Linda wanted a relaxed portrait session, but after a few pictures straight after the wedding, we took a stroll right out onto the klippan to make the most of the early autumn sunset with some stunning results. A few highlights below, or see here for the full set.